Including why some feminists are sitting it out. Though nearly 5,000 miles away, two women took to Facebook with the same idea. On Election Night as the results came in, Teresa Shook—a retired lawyer and grandmother in Hawaii—posted about the need for women to protest in D.C. on inauguration weekend. She woke up to some 12,000 people who “Liked” her idea. And in New York, a fashion entrepreneur named Bob Bland (who had gained a wide social following after selling “Bad Hombre” and “Nasty Woman” t-shirts in support of Planned Parenthood), also suggested a similar idea with large applause from her network. The two joined forces, and with several crucial steps in the middle, history will be made on Saturday when 204,000 demonstrators are expected to hit D.C. for the Women’s March on Washington—the largest post-Inauguration protest in history. With almost 200 progressive groups as partners, there are also more than 300 simultaneous local protests scheduled across 50 states and 300 other countries. Enter Mallory Perez, Tamika D. Mallory, and Carmen Perez: a group of women with resumés so impressive, and, more important, pertinent to a new tone needed in this type of activism—remember, a staggering 53 percent of white female voters supported Donald Trump. Mallory is an African-American gun control advocate and civil rights activist; Carmen Perez is executive director of Harry Belafonte’s Gathering for Justice; and Linda Sarsour is a Muslim activist of Palestinian descent who serves as executive director of the Arab American Association of New York. (Sansour, who is in charge of the march’s fundraising, also wears a headscarf as a sign of her religious devotion.) The three women, along with Bland, are the four primary organizers of the march. This powerfully diverse leadership lineup is about way more than optics. 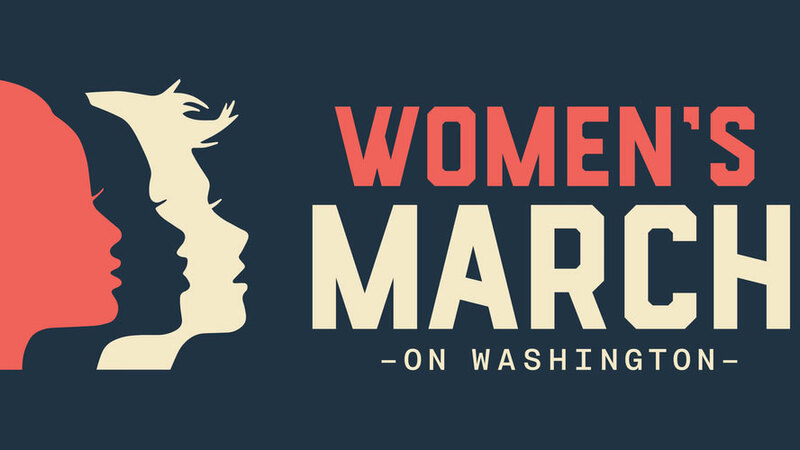 One of the items on the agenda was to change the march’s name from the Million Women March to the Women’s March on Washington—an ode to Martin Luther King’s March on Washington in 1963. The title Million Women March was considered by some to be appropriation of black activism, as the Million Man March, in Washington in 1995, and the Million Woman March, in Philadelphia in 1997, were two demonstrations organized primarily to protest racism. Indeed, a major critique that has been lobbed at the women’s movement for decades has been its exclusionary focus on issues most important to privileged white women, such as equality in the workplace rather than immigration or police brutality—not to mention the wage gap between white women and women of color. (According to Pew, the hourly earnings of white women [17 dollars] is higher than those of black and Hispanic women [13 and 12 dollars, respectively].) Shattering the glass ceiling, or even reproductive health rights—long a front-running topic in the movement—may not be as important to the woman facing deportation or criminal justice-related grievances. Or, simply, unequal compensation for honest work. The march’s leadership focus acknowledges the dominant role of well-heeled white women in feminism, a desire to do things differently, and face the future together. It also operates in agreement with the brand of feminism known as “intersectionality,” which demands recognition that white women have it easier than women of color. As Sansour told the New York Times, “This was an opportunity to take the conversation to the deep places.” Still, many outspoken voices are not attending for this reason. And for protesters, keep a close eye on traffic and weather patterns. Lay out your strongest umbrella or warmest parka—though they may not be needed: the weather report, as of today, predicts a mild and forgiving 54 degrees. 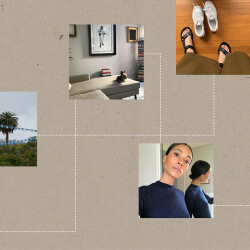 Pack your favorite energy bars and comfiest sneakers; write a poster that reflects your individual style; and claim your place in our political process. And remember that the logistical chaos that may be D.C. this weekend is nothing compared to anticipated Trump-induced headaches.